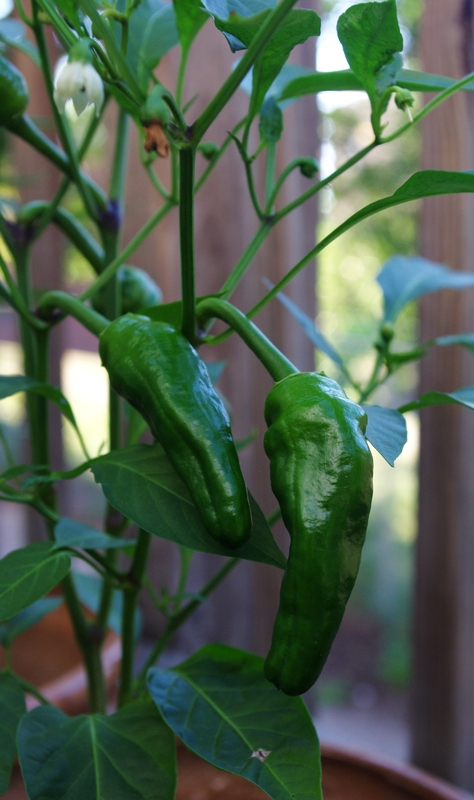 After a slow start, the padrón peppers on my deck are producing–and then some. Twice we have cooked up a tasty pepper tapa for a fresh summer dinner, and it looks like we are in for a few more rounds. 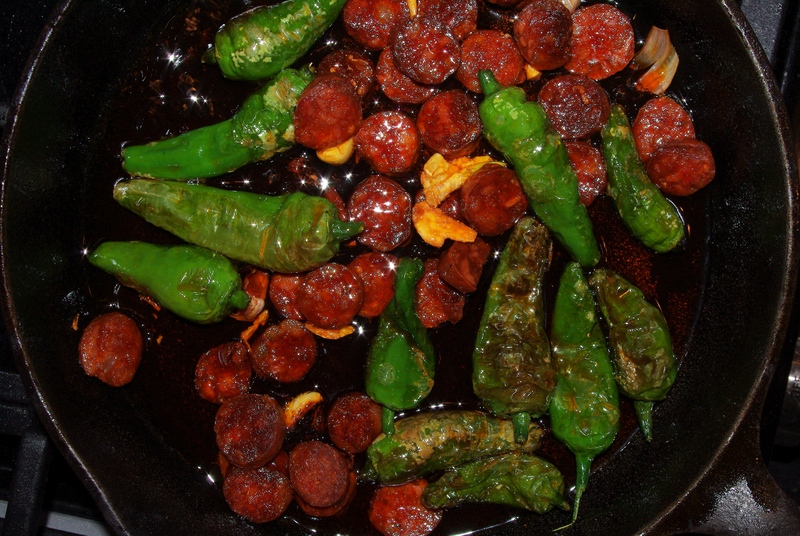 Pimientos de padrón are not “boss” peppers, as their name would imply. Rather the hail from the town of the same name in Galicia, Spain. Brought back to the old country from the Americas, the pepper went mild. Mostly. The trick with these babies is, while the vast majority are nearly bell-pepper sweet, some bite back. Indeed, the fun of sharing a plate of peppers (along with an icy beer) is that someone is likely to get a mouthful of fire. Folks have called it Spanish roulette. To prepare in the traditional manner, simply quick-fry the whole peppers in a bit of good, Spanish olive oil, allowing the peppers to char a bit. Remove from the oil and sprinkle with sea salt. Or, fry with a bit of chorizo and a healthy dose of crushed garlic. Sprinkle with sea salt. Serve with thin slices of baguette, and you will have a winning tapa or a lovely summer side.